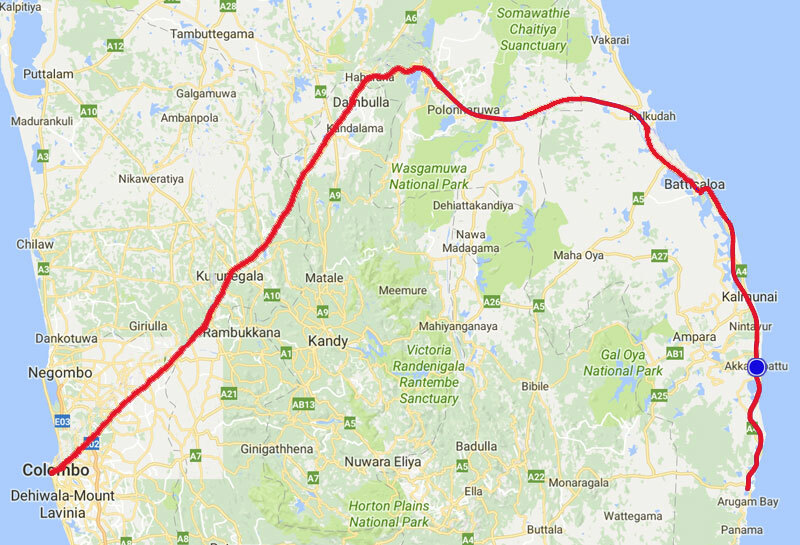 There is a super luxury ac bus which leaves Colombo at 7.30pm and arrives at Akkaraipattu (50km north of Arugam Bay) at 4.15am. From there it is possible to take a local bus to Pottuvil or a tuk tuk to Arugam Bay for around 2500LKR. The return bus leaves Akkaraipattu at 8.15pm and arrives in Colombo at 4.15am. The bus can be reserved at busseat.lk (opens in a new window). The price of a ticket as of February 2019 was 1100LKR. Although it has air-conditioning and adjustable seats do not expect to sleep well as it is normal to play music or movies at high volume throughout the journey, even at night! The bus has storage available for luggage and surfboards if required. Hey Praba, thanks for the information. Are you sure this is for the bus that goes to Akkaraipattu? I think you are referring to the bus that goes from Colombo to Pottuvil right? Maybe you can post this comment on the page Colombo to Arugam Bay Bus. Is this bus of higher quality than the Bismillah Lodge one? Hey Tom, not sure sorry. I know they both have ac which is the most important thing. Let us know how it is if you take it. Hi Gauty, no it is not the same. This bus goes to Akkaraipattu. The bus from the Bismallah lodge goes to Pottuvil. We are booked onto this bus in 2 days time for our journey back to Colombo. Anyone know where the actual pick up point for the bus in Akkaraipattu? How was the journey? We need to do the same in a few days time. Trying to work out the best way!